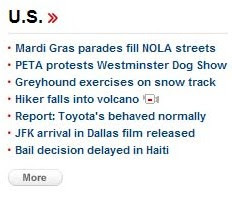 Kris, who submitted this screenshot from CNN.com, said that the Toyota-related apostrophe catastrophe was on CNN's home page for almost an entire day last week. Nic, who submitted this photo from Singapore, wonders if the apostrophe catastrophe/improper pluralization is forgivable since it was committed by a non-native English speaker. Childrens is not a word in any language, so I'm not giving them a pass on this one. In the northeast, it's a hazy shade of winter, but it's also time to start thinking about baseball season! 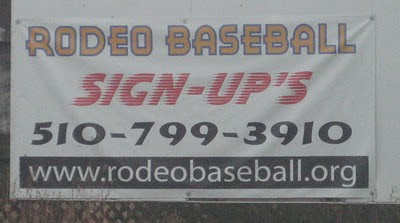 Rodeo, California, where Katie spotted this badly punctuated banner, sure is. 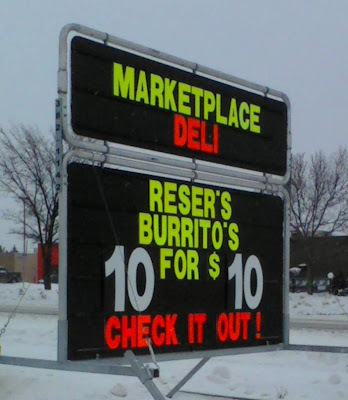 This apostrophe catastrophe, submitted by Joe in Saskatoon, didn't make sense to me at first because I didn't know what Reser's meant. Apparently, Reser's is a brand of burritos, so that first apostrophe is OK, but not the one in the word burritos. The next few days will provide ample opportunities for apostrophe catastrophes because of Presidents['] Day and some other holiday on Sunday, which shall not be named. Amy found this V-Day apostrophe catastrophe on the cover of Clipper Magazine. 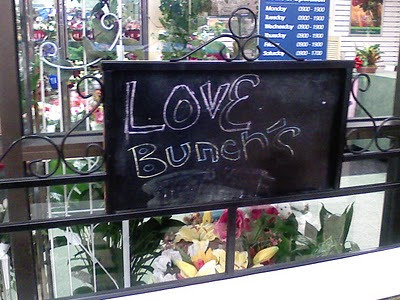 With or without the apostrophe, Loves Me doesn't really make a whole lot of sense, even if you're Paris Hilton. Is it supposed to be a Valentine for yourself? 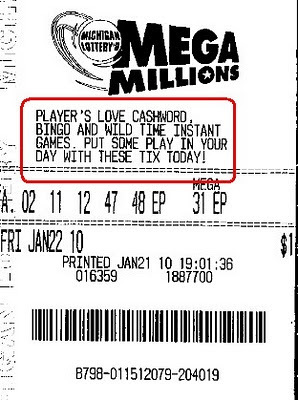 I think that would be worse than no Valentine at all. Which reminds me, it's time to lace up my ladie's [sic] running shoes and hit the gym. 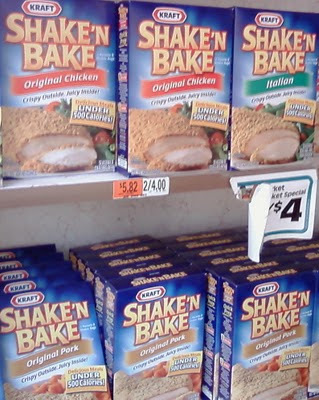 An Apostrophe Catastrophes reader named Mike sent me an e-mail with five catastrophic photos (or photo's, as the case may be). 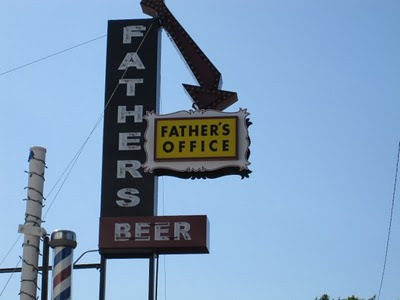 One of the more bizarre ones is from a sign shop in Pensacola, Florida. 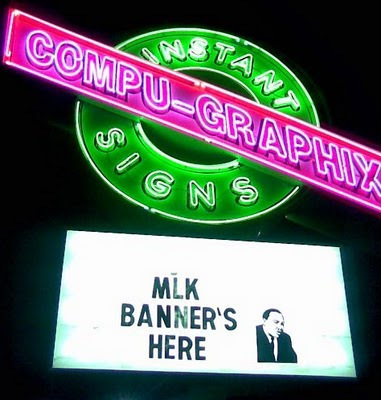 Are MLK banners even a thing? How about some George Washington banner's [sic] for later this month? And speaking of birthdays, today is mine. 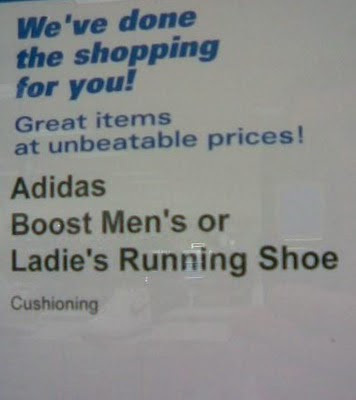 So, send me presents of apostrophe catastrophes. 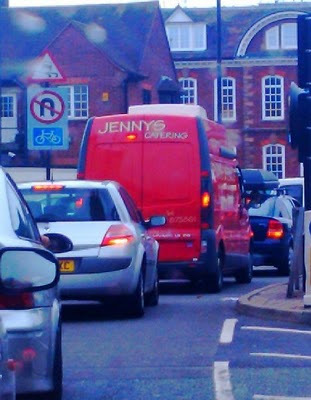 Three apostrophe catastrophes in one photo! 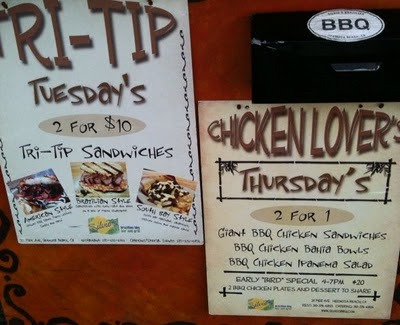 And you may not be able to read the small print at the bottom of the Thursday's [sic] sign, but we've also got some unnecessary quotation marks. An early "bird" special?